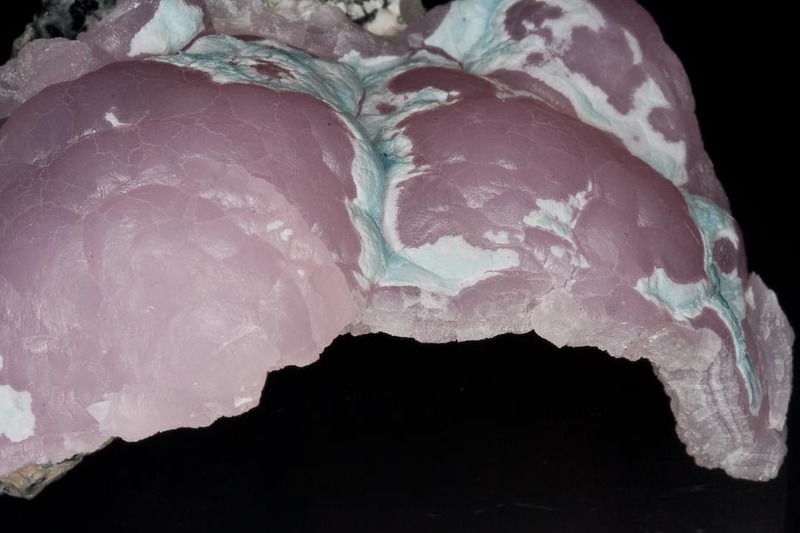 Comment: This specimen consists of bright, rose pink cobaltoan smithsonite. 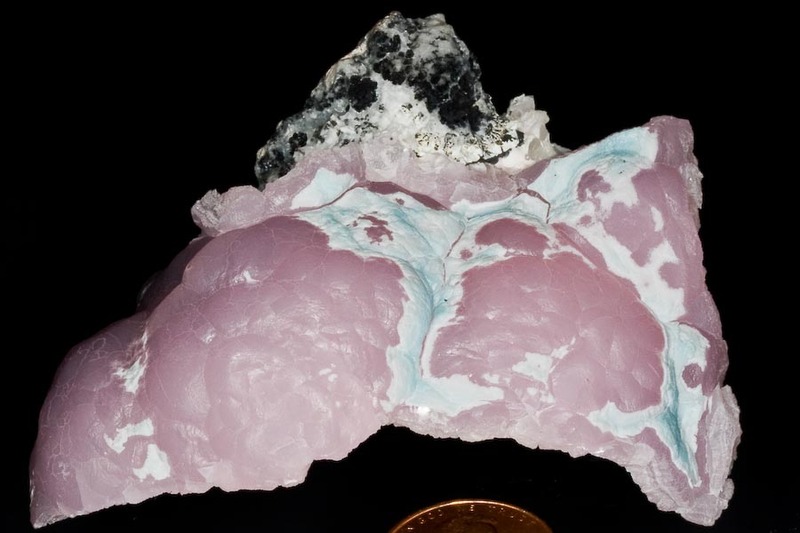 There are also remnant layers of cuprian smithsonite on portions of the specimen providing a nice contrast between the blue and pink. 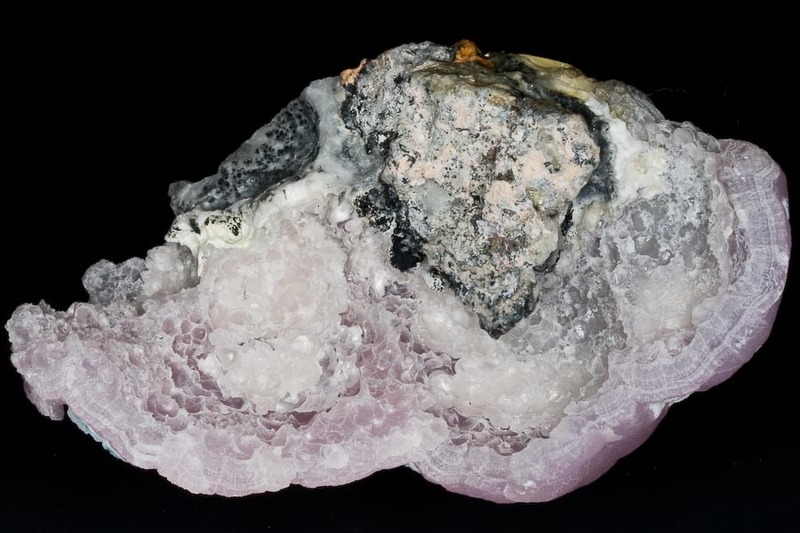 The smithsonite has exceptional luster for this habit.